And then there is the problem produced when different authors use different power scales. You have to compensate by averaging out what you think the author’s creational intentions would have been. And lastly, you have to put them together into a list, which is difficult. Since combining characters into a list is difficult because the scope and scales are so very different, I’ve decided to be as scrutinous as possible with the scale being set to the highest imaginable standards. Beings like Superman, Thor, Darkseid, and Goku have great powers, but not cosmic powers like those of a deity. We are talking powers like space-time manipulation, immortality, and magical abilities over such a great range that those who possess them cannot be classed together with those that do not. Aside from that, comic book characters and those shamelessly embarrassing Japanese animation concepts have been largely omitted from this list because there is just too much chaos in the thought process behind them. Further, beings like The Presence, The Living Tribunal, The Specter, The Beyonder, and The One-Above-All are god figures, but they are so vague and unheard-of that their inclusion would be just like saying “God is the #1 superpower.” They are creatively irrelevant. Including them would be as meaningless as it would be unsatisfying. Within these parameters, identifying strengths is difficult and weaknesses almost impossible. Some comic characters have been included because they are not only godlike, but cool and ingeniously stimulating. Claim to fame: Audrey Fremont (Liliana Mumy) is the daughter of the grown terrorizing six-year-old Anthony Fremont (William Mumy), the kid we met in the original Twilight Zone. She is even more powerful than her father who could do just about anything he wanted, including control the weather, vanish all whom he didn’t like, deform helpless creatures, set people on fire, read thoughts, and eliminate the entire rest of the world with the exception of the small town of Peaksville, Ohio. Anthony Fremont, the little monster. 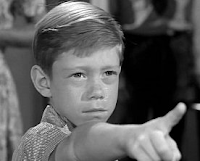 Surprisingly few know that in 2002, a sequel to the original Twilight Zone episode (It’s a Good Life!”) aired. It takes place 40 years in the future and the citizens of Peaksville are still in the hellish prison of the monster called Anthony. 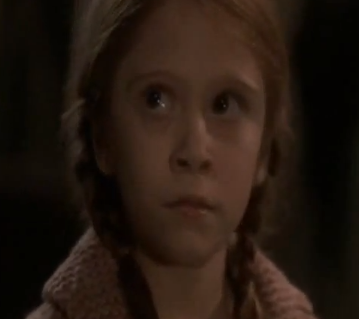 But now, Anthony has a young daughter he loves very much (Bill and Liliana Mumy are real-life father and daughter). Mortals with god-like powers…this is terrifying stuff. Watch the original and then watch part II, “It’s Still a Good Life!” Unlike Anthony who sent those he despised to a place of time-space stagnation (not death) called “the cornfield,” his daughter can do the same, but can also bring them back--a thing Anthony could never do. Even other mortals with super-powers, like “Charlie Evans” from Star Trek TOS and mutants like Dark Phoenix or Franklin Richards, probably couldn’t compete with these two! Claim to fame: A race so highly evolved that Spock compared humans to amoebas in relation to the Organians. 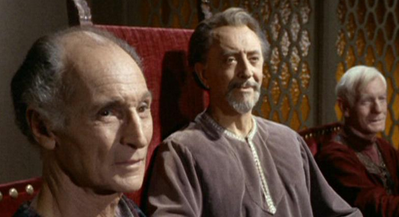 In Star Trek TOS, the Federation comes into contact with the Organians, a race that appear at first to be nothing more than primitive humanoids on a planet the Klingons are after. At a time when the Klingons and humans are still at war, at the height of their conflict in trying to control Organia, they find that the seemingly passive sheepherders are much more than they seem. The episode Errand of Mercy represents one of the most deep-thinking pieces of original sci-fi to date. Both the Federation and the Klingon empire appear like neanderthals, dirty savages fighting and warring ceaslessy until they are stopped from killing each other by a strange power where the Organians make all instruments that can be used for violence everywhere literally too hot to handle! They appear on Earth and Qo'noS at the same time announcing their intentions of stopping the interspecies violence. The Organians in pure form. The Organians once had bodies like humans, but transcended them, eventually evolving to where no one died in hundreds of thousands of years. While they hated interfering in other cultures, they couldn’t allow anyone to hurt themselves. They are hyper-pacifists with the power to stop all violence. 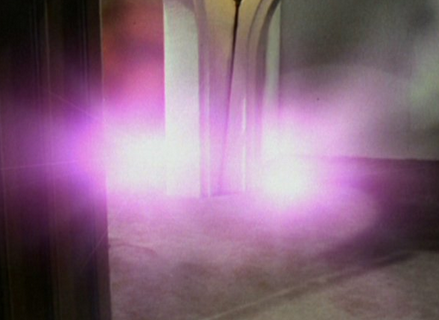 Their being consists of a blindingly bright purple light, or in the words of Spock: “pure energy, pure thought.” Without their intervention, the Klingons and humans would never have made peace. That is how influential this episode is. And of course, the limits of the powers of these beings we cannot truly imagine. Claim to fame: A one-of-a-kind transformation of a human (Jon Osterman) into a deity. If you are not a comic book person or haven’t seen 2009’s The Watchmen, then you may have only gotten glimpses or less of this blue powerhouse that almost resembles something from Indian artwork. 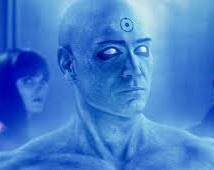 And maybe that’s for the better since, if he were real, Doctor Manhattan would prefer to just be left alone. After he is transformed into a super being in an accident, he begins to live in multiple timelines, exercising powers beyond comprehension. His greatest challenge is to stay connected with his human roots. But when you’re a god (and a mighty big contender for our #1 spot), humans are hard to care about. The whole universe is just one big crossword puzzle to him. In fact, in the Watchmen series, even with Manhattan starting out as just a mortal man, it is implied that he became God. Claim to fame: A trollish race of immortals who plague the Federation and manipulate the universe to their liking. 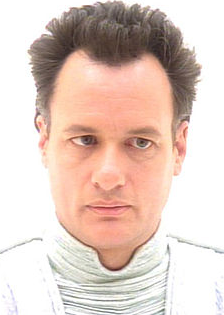 If I took a poll and asked who the most powerful being in all of Star Trek or Sci-fi is, chances are I’d get the Q (John de Lancie) as the answer, and you’d be hard-pressed to find any to surpass him. He flaunts his powers in a showy array that would make the constellations jealous. 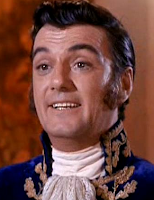 This character was inspired by the character Trelane (William Campbell) from TOS Star Trek, a cosmic child with his own planet as a playpen where the crew is bothered by a super-powered matter manipulator who won't let them leave. The idea stuck and Q was born for TNG series. Members of the Q Continuum can do damn near anything, including teach humans about their destiny and evolution in clever ways, and while the Star Trek storyline makes these beings into little more than comic relief distractions, they are still way up at the top of the list without the slightest question. Bad writing eventually got the better of them as they suffer a civil war and start shooting one another with supernova blasts. It was all just too corny, but so far as they served as testers of human beings, they were a workable and appealing invention.